Cleveland Cinemas will be opening the controversial SONY Pictures comedy THE INTERVIEW starring Seth Rogen and James Franco on Christmas Day at Tower City Cinemas (230 W. Huron Rd., Cleveland). The plot of THE INTERVIEW involves TV reporter Dave Skylark (Franco) who has been invited to interview North Korean leader Kim Jong-un. The CIA recruits him and his producer (Rogen) to assassinate Jong-un when they are in the secretive nation. 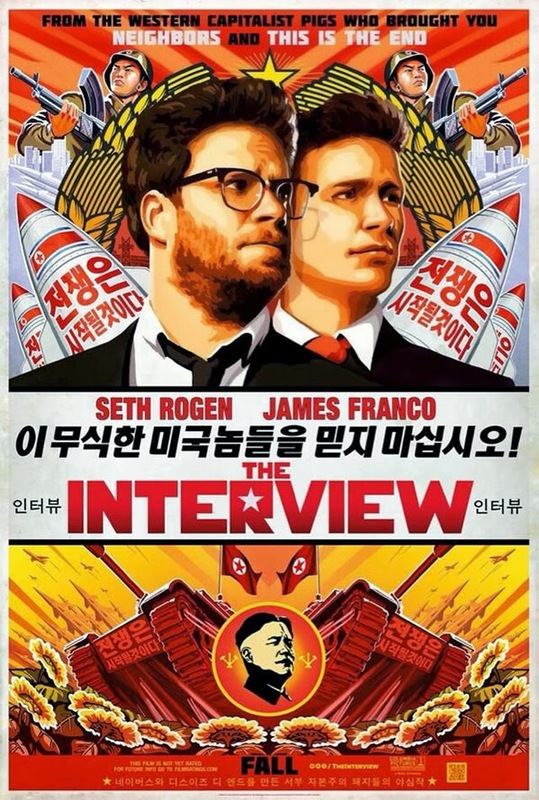 THE INTERVIEW received international attention after it was pulled from release following the hacking of SONY’s computers which has been now credited to North Korea. After an out-pouring of criticism from politicians, including President Obama, and a strong showing of support from independent exhibitors like Cleveland Cinemas, SONY has reversed their decision to pull the film and is sticking to their original release date of December 25, 2014 for THE INTERVIEW. The first 20 guests at the 2:05 showing on Christmas Day will receive a free T-shirt for the film. Patrons attending the 7:15 PM or 10:05 PM showings on Christmas Day will receive a poster for the film while supplies last. All promotions are for Christmas Day only. Tickets are available on www.clevelandcinemas.com and at the Tower City Cinemas box office.